Goodwin Consulting Group staff has analyzed the profitability of a variety of development projects for both public and private sector clients. Complex pro forma cash flow analyses that have been developed by GCG staff consider absorption schedules, sales and rent structures, infrastructure costs and phasing, preservation and rehabilitation costs and financing, public and private financing, land acquisition and ground lease structures, entitlements and other land development issues, preferred distributions, back-end sales participation revenue, and a host of other important assumptions and variables that factor into the net present value, internal rate of return, and other measures of development profitability. GCG staff has also prepared more simplified analyses that ignore timing issues and estimate direct and indirect vertical construction costs; marketing, selling, and other general and administrative expenses; in-tract and lot improvement costs; and other factors to determine builder profit or residual land value. Land development projects involving bulk sales to home builders, residential subdivisions, for-sale and rental multi-family complexes, and non-residential projects involving retail, hotel, office, and industrial development, including golf course development, have all been analyzed by GCG. 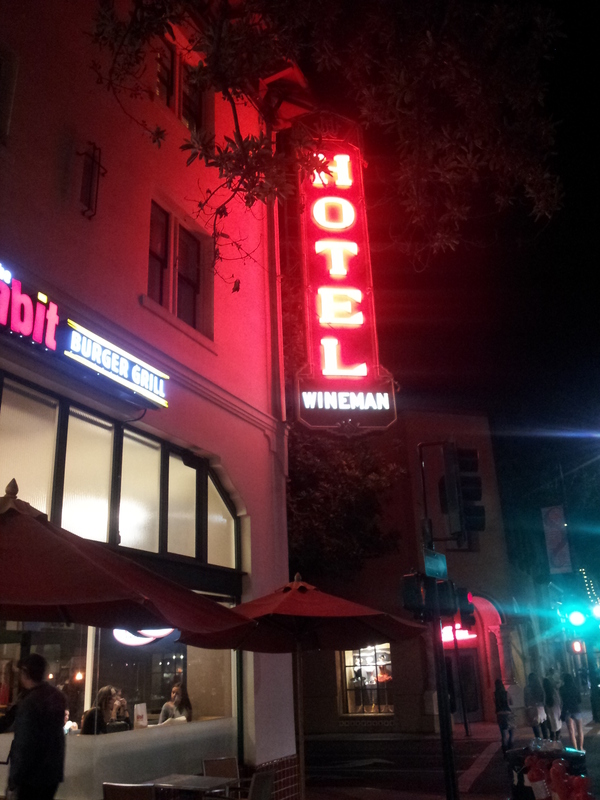 GCG worked with a local developer and the City of San Luis Obispo to secure public funding for the restoration and reuse of the historic Wineman Hotel in the heart of the City’s downtown area. Project pro forma and related analyses were prepared for the City of San Luis Obispo, County of San Luis Obispo, San Luis Obispo County Housing Trust Fund (a private non-profit), and California Housing Finance Agency (CalHFA). As a result of GCG’s work, the developer was able to secure $1.5 million in affordable housing grants to complete the transformation of the hotel into 48 residential units and over 15,000 square feet of commercial space. GCG’s contributions also included drafting the Affordable Housing Funding Application to the City and County and completing CalHFA’s Universal Application for the Development of Affordable Rental Housing. The creative financing solutions proposed by GCG were critical to the developer being able to meet internal rate of return goals, while demonstrating a true need for public support. 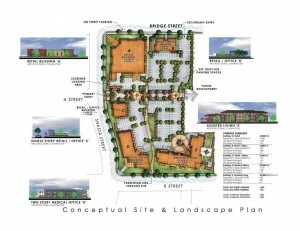 Working with a private developer in a competitive process to redevelop a non-performing City asset in downtown Yuba City, GCG constructed a development timeline, designed a project pro forma, and prepared the financial section and other components of the developer submittal. 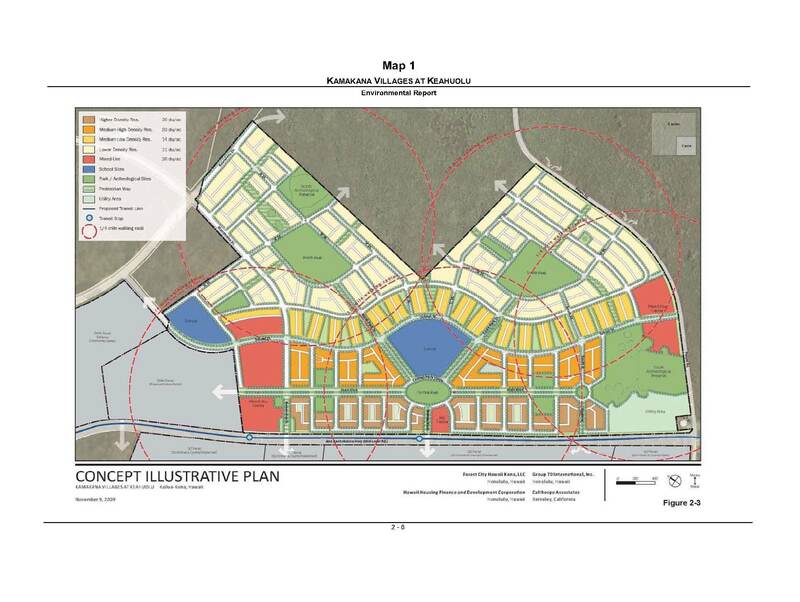 The development plan consists of five buildings totaling approximately 100,000 square feet constructed in phases, including an assisted living facility, retail store, medical/professional office, casual dining restaurant, and small retail/office operation. 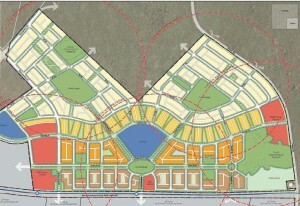 The approximately seven-acre master parcel would be divided into five smaller parcels, each configured to meet the needs of each proposed building. 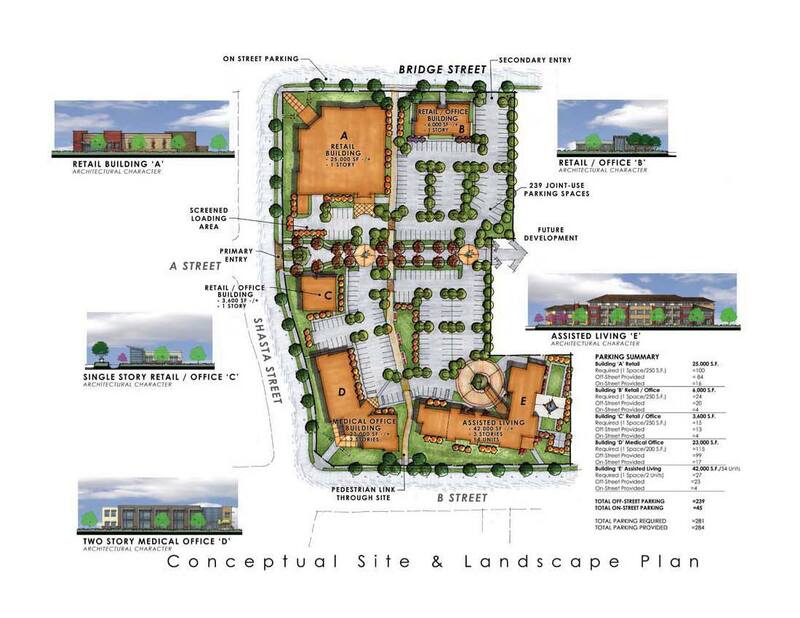 GCG helped to develop the proposed financial structure, which involved a three-phase take down of the land and ground leases to the assisted living and retail store, with the developer to build, own, and operate the three other buildings. The City would agree to defer certain building permit fees and assume responsibility for the limited amount of off-site infrastructure requirements created by the project. GCG worked to establish the purchase price for the land over the three take-down phases, structured City reimbursements and profit participation after certain rate of return thresholds were triggered, and calculated property tax and sales tax increment projections. 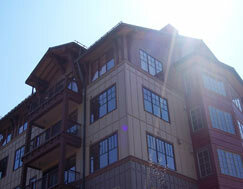 The developer was selected by the City. As part of its strategic planning process, the Kailua Village Business Improvement District (KVBID) has been examining ways to improve parking in the downtown Kailua Village core, assume responsibility for parking operations, and possibly fund new parking lots or structures. GCG was retained by KVBID to develop a parking management strategy, evaluate the authority of KVBID to provide parking services and issue bonds to fund parking facilities, conduct a parking revenue and expense cash flow analysis, and test the feasibility of constructing and funding a parking structure. The results of the analysis indicate that, while a parking structure may not be feasible, a more efficient use of existing parking lots and creation of new lots, together with implementation of an automated parking system, would improve parking and allow KVBID to successfully provide parking services. The next step will likely involve Phase 1 of an implementation plan, which will include the pilot program summarized in the GCG analysis. This master-planned, mixed-use community is proposed to include approximately 2,200 residential units designed to meet the needs of households at various income levels, with at least 50% affordable to families with household incomes less than 140% of area median income. The project also includes nearly 200,000 square feet of commercial development and an elementary school. The first phase of GCG’s work involved developing public financing cash flow and bond sizing models with tax increment and land-secured financing, projecting financial feasibility from an infrastructure perspective, and drafting materials that discuss project and infrastructure financing. The second phase of work entailed refining the financial analysis with any changes resulting from the environmental and entitlement process, and developing a complex, but user-friendly, project pro forma cash flow model to evaluate overall project profitability and rate of return based on a detailed waterfall of cash flow distributions and priorities. For the third phase of work, GCG prepared a comprehensive report and application to the County of Hawaii to initiate the process of forming a Community Facilities District (CFD) and issuing bonds to fund public facilities required to serve the project and, to some extent, the region. Future work will include implementing the CFD and other financing mechanisms built into the public financing strategy.